Six years ago I was walking past the Weeding Women stand at Garden Week and made the life-changing decision to join the team. I’ve always loved to garden and my team and I look forward to helping your garden thrive! If you’d like more information about our services or a quote for your garden, complete the form below and I will be in touch soon! 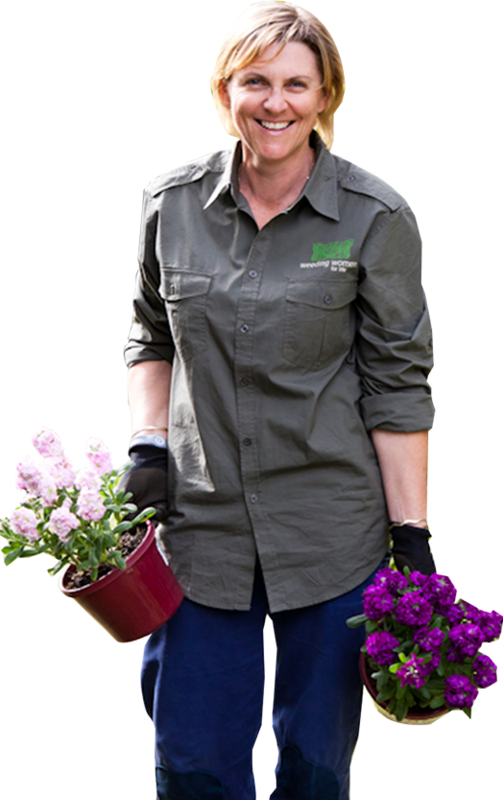 Kate, a mother of three young children, made the life-changing decision to become her own boss after walking past the Weeding Women stand at Garden Week in 2012. It has enabled her to indulge her passion for being outdoors and staying active.